So after all the huffing and puffing to date, it seems that Mrs May’s calculation is that the threat of a Corbyn government (arising from a general election) will scare the DUP into continuing to support her and her ludicrous Chequers non-Brexit plan. I fear that she and the coterie of fools that surround her have seriously underestimated the resolve of Ulster Unionists, the depth of their belief in the United Kingdom and their repudiation of compromise. Their character comes from the Troubles; while Theresa May was skipping through wheat en route to Oxford, Arlene Foster was watching the IRA attempt to kill her father and was then on a school bus that was blown up. She went on to Queen’s University Belfast. Somehow the threat of a socialist idiot in Number 10 is unlikely to scare her. Attempting to buy her off is going to be tricky – there’s already £1billion pledged to keep the DUP voting with Mrs May, which is a huge amount to spend in a province with a population of just 1.85million; another few quid won’t make that much difference and would look alarmingly like thirty pieces of silver. Mrs May’s problem is simple. She took the job after the country had voted to leave the EU, promised to deliver Brexit (most explicitly in her Lancaster House speech) and now looks like failing. Which should not be a surprise: she was an awful Home Secretary and she was the idiot who described her own political party as ‘the Nasty Party’. 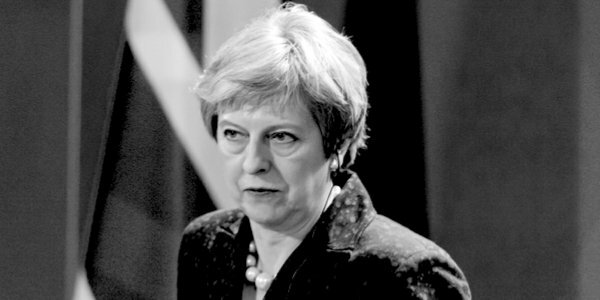 Her ambition has led to her being promoted way beyond her ability as a compromise candidate designed to hold the Conservative Party together – as she has reliably and repeatedly put party before country. The net result is that those of us who voted Out (meaning out of the single market, customs area and every other darn bit of EU control) are about to be sold a pup by an apparatchik who hasn’t the vision, drive or ability to be able to deliver on the mandate she took up. As we generally live outside the Westminster bubble we know what the dogs in the street could tell us – Mrs May’s plan is an establishment stitch-up. Which places Mrs Foster in the position of having to choose between a few more quid for Ulster and (no doubt) a peerage, or standing by her principles and in the process saving parliamentary democracy. For that is what is at stake. If the benighted members of the government and House of Commons fail to deliver a Brexit then they will lose their legitimacy and their authority. The consequences of that are almost unimaginable as it would be an institutional failure. Mrs Foster is one of the few people who can avert this crisis by forcing Mrs May to wake up, smell the coffee and drop her proposal.